Very informative. For part of the target audience, your admixture run might confuse them as well. 3% South-Asian in English and Czech? When components don't encompass the variation of the samples run through afterwards, weird things happen. That and it could reflect shared ancestry, rather than one-way flow, e.g. Iran_N into both Paniya and Central+West-Asians. In the case of English & Czech, Iran_N and CHG might be close enough to conflate. As always though, I admire your generativity in taking the time to explain a lot of these tough to understand topics. Last edited by Kale; 09-12-2018 at 05:26 AM. 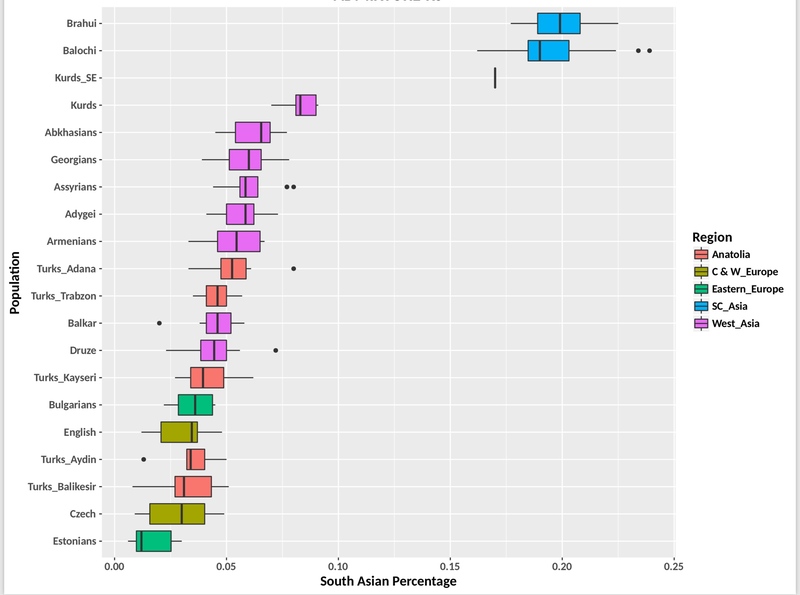 Which gedmatch calculator do you think is the best for picking up East Asian admixture? Asking the same for the Caucasus component. Users with ethnic backgrounds from Iran (all parts), Iraq, Turkey, or the Caucasus are welcome to post screenshots of their 23andMe results for comparison in the comments section of the article to see how similar they are to the Kurdish subject results posted there, since there don't appear to be many such results posted online. To post an image in the comments section, users can paste either the "direct link" or "BBCode" of their image in the comments section. Please ensure that the image you post is yours and not someone else's. Very interesting Kurd! One question, what you think of using Sardinians instead Basques for European component reference?